I agree that having plenty of relevant content is crucial to drive visitors into a web site. However, to succeed in online marketing, we need the four ‘P’ and not just one P. Content is the product aspect of the four P. Let’s picture this. You have added relevant contents to your site and you don’t do anything else other than continually adding content. That will work. Google spider will eventually visit you site and rank it higher if your content is relevant. But it won’t work as well as having the other three P’s in your marketing campaign. For example, instead of posting the content on your website alone, you can think of submitting to various article directories available. There are about hundreds of directories of this nature. This is the ‘place’ or distribution aspect of the four P’s. Instead of one source, your potential customers can then find your content through hundreds of distribution channel around the web. When you are starting up, you have low visitor counts. Using this distribution method, you can attract up to hundreds times more visitors than if you had just posted your content on your site. The best thing is that these article directories are free. All you need is your time. You can also pay a small fee to organization that will help you submit one article to hundreds of article directories. There are also article directories that specializes on certain field, which I prefer. Your visitor counts will be lower if you submit to these niche directories. However, these are a very interested visitors, rather than just casually-browsing visitors. Furthermore, general directories are having a lot more subcategories than niche directories and visitors will have a harder time finding your content. My suggestion is to prioritize. There are hundreds of article directories, both general and niches. Your priority should be to submit to niche categories first and then to general article submissions when time permits. This way, you will get more interested visitors to start with. 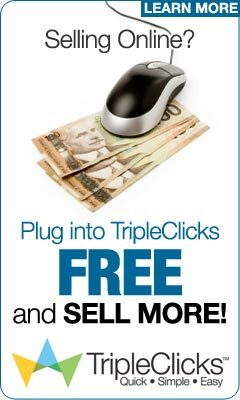 Once they are on you site, you will have an easier time selling your products or services. Distribute your finance/investing content for free at our article submission service. Meanwhile you can list your site for free at our web directory service.